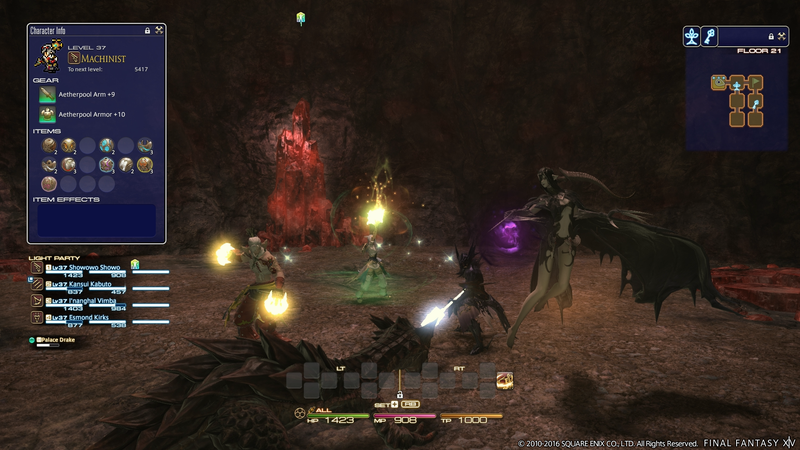 Today’s Final Fantasy XIV patch opens up the Palace of the Dead, a fascinating new dungeon that has randomized floors and self-contained equipment and leveling systems. Let’s check it out. Watch Fahey, Cecilia and I take a trip through this new dungeon, seeing how far we can get before Fahey gets stuck in a trap and causes us all to wipe. You can access the Palace of the Dead after hitting level 17 and getting a quick quest in New Gridania (full patch notes here).